SMS – WE DRIVE, YOU FLY! - sms-flughafentransfers Webseite! SMS – WE DRIVE, YOU FLY! Our Mission is to provide service that is punctual, professional, safe and reliable. With us, your holiday starts at your front door. We take you to your airport in time - whether to Salzburg, Linz, Innsbruck, Munich, Vienna or upon request to each other airport. Further we drop you off at the right terminal. If you have booked a collective transfer we pick you up from your front door in a minibus with a maximum of 7 other passengers (if it is permitted regarding the traffic rules) and take you to your destination. On your return we try to avoid waiting times longer than 60 minutes after your registration at our transfer counter at the airport. If you have booked a private transfer our driver picks you up wherever you want and brings you straight to your destination without other passengers and stops. Our customers appreciate arriving relaxed at the airport and flying without worries. We guarantee safety, reliability and convincing quality; we provide the highest level of service at an affordable price! Our highly experienced staff in the SMS booking centre in Salzburg is devoted to providing first class, personal service. We are proud to feature the ultimate in comfort, courtesy, reliability and dependability. We provide top quality service and ensure that every ride is met with complete satisfaction – 24 hours a day, 7 days a week, 365 days a year. At the airports Munich, Vienna, Linz, Salzburg and Graz we have created a separate SMS counter for your convenience in each terminal. These serve as a meeting point where your chauffeur awaits you upon your arrival. We do our best to keep waiting times as short as possible. We try to avoid waiting times longer than 60 minutes after your registration at our transfer counter. We ask for your understanding if in a few cases, a longer waiting period is required due to the late arrival of other passengers. No waiting times if you have booked a private transfer! No annoying searching for parking. We always find the fastest way to the right terminal! Enjoy a relaxing start to your business meeting or your holidays! 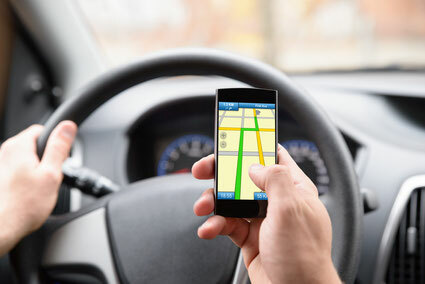 With us you‘ll get back home well, safely and relaxed! Through our website or our 24-hours-hotline you can book your airport transfer quickly, easily and cheaply to and from all airports. When booking online or by phone, you will immediately receive a booking confirmation to your email address. At least one day before your transfer, we will contact you by phone to inform you of the exact pick up time. We pick you up at home on time and drop you off at your departure terminal at the airport. YOUR BENEFITS – WE GOT WHAT YOU NEED! 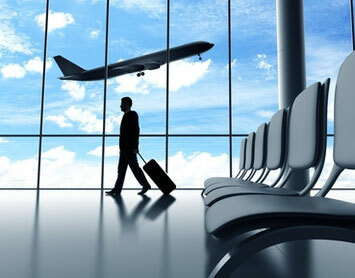 SMS airport transfer is your reliable partner for professional passenger transportation. Please read our conditions of carriage and terms carefully. Because of the steadily growing importance of the environmental sustainability we constantly expand our fleet by natural-gas-powered vehicles. Natural gas is one of the cleanest burning alternative fuels available today. In order to improve air quality and limit the impact of traffic on the climate, SMS is continuously making its vehicle fleet greener. In all our fees an insurance against traffic risks is included. If it is our fault and you should not get to the airport in time and miss your flight we pay up to 300,00 € for changing your bookings and up to 500,00 € for re-issuing a new flight ticket. You always can rely on us! You’re looking forward to go on holiday and then you find out that your flight is delayed, cancelled or overbooked? That’s really annoying. If a flight you are booked on is delayed or cancelled, there are things you can do to make the disruption more bearable. You should also take the time to understand your rights, to make sure your airline treats you fairly. EU-Rights.com explains what to do when your flight has been disrupted. A team of lawyers works for you on a no win-no-fee basis and represent your interests as an air passenger against the airline. This means there is no upfront cost involved. Even if your case progresses to court, you will not bear any solicitor or court costs. There is no risk for you. You only pay a commission if EU-Rights wins your case. Our 24-hours service hotline in Salzburg is available 24 hours a day, 7 days a week, 365 days a year! As of January 1rst 2019 SMS presents several novelties.